Big news, world: you have new Call of Duty champs. OpTic Gaming won the 2017 Call of Duty World League Championship this past weekend in Orlando, Fla., besting the defending champions Team EnVyUs at the Amway Center on Sunday, Aug. 13. 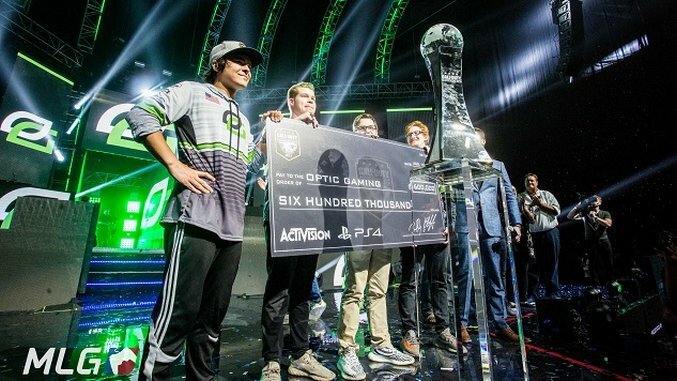 OpTic Gaming has dominated the professional Call of Duty scene for the last few seasons, but had come up short at the World League Championship every year. Now that they’ve finally won the big one, the starting lineup of Ian “Crimsix” Porter, Matthew “Formal” Piper, Damon “Karma” Barlow and Seth “Scump” Abner have made good on their promise, solidifying their status as perhaps the premier superteam on the Call of Duty scene, and taking the lion’s share of the $1.5 million prize pool. Paste was in Orlando for the big tournament, and will have more on OpTic Gaming and the World League Championship soon. For additional information on the entire Call of Duty World League 2017 season, check out the official home page.